with Chas. A. Jackson, Manchester. This subject was a popular one with Cox. 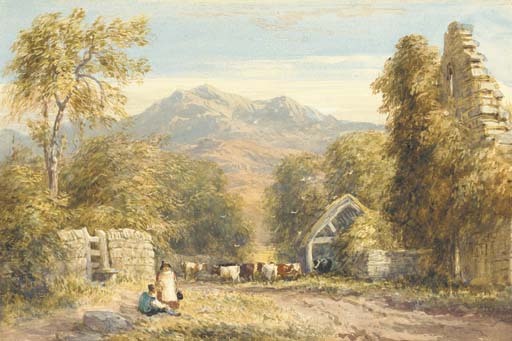 He exhibited a large version of the present watercolour at the Old Water-Colour Society, 1828, no. 62 and another view entitled Part of Kymmer Abbey, North Wales in 1834, no. 214.